CVNC: An Online Arts Journal in North Carolina | Outdoor Opera for Everyone: North Carolina Opera presents "Opera in the Pines"
Outdoor Opera for Everyone: North Carolina Opera presents "Opera in the Pines"
On Saturday, May 17, 2014, at the outdoor Koka Booth Amphitheatre in Cary, North Carolina Opera presented music for a perfect spring evening, entitled "Opera in the Pines." As conductor Timothy Myers stated, the hits kept rolling, and the audience, filled with both casual and die-hard opera fans, loved every minute of it. Outdoor concerts are a wonderful tradition, as endemic to a summer in America as the Fourth of July, baseball, and advertisements for air conditioners. The Koka Booth Amphitheatre usually hosts the North Carolina Symphony for its Summerfest, among other artists, but this was NC Opera's first foray to the pristine concert space, set among the pine trees with a lake directly behind the stage. It was a special treat to have four outstanding singers accompanied by a full orchestra under the direction of Myers. The night started with a rousing reading of Rossini's Overture to the Barber of Seville, and just about every other number afterward was familiar for anyone who grew up with Looney Tunes. 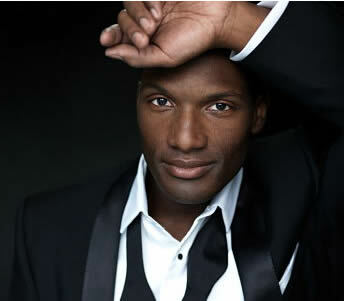 The evening's main draw was rising star Noah Stewart, a fine singer who released his self-titled debut with Decca in 2012. Stewart's voice is not up to the size of Prince Calaf's "Nessun Dorma," and his singing looks physically straining, but he offers a wonderful dynamic and expressive range, with perfect breath control. The other soloists – all North Carolina natives – were not simply under Stewart's shadow, however. Hailey Clark, raised in Cary, possesses an enchanting, precise soprano voice, capable of communicating great nuance. She returned to North Carolina Opera, having made her debut in the Fall 2013 performance of Così fan tutte, and dazzled the audience again. Ted Federle sings with a rich, dramatic baritone, combining careful enunciation with a great sense of musical direction and character. The youngest soloist, Kate Farrar, gave an attractive reading of Gounod's "Faites-lui mes aveux," with great precision and attention to detail, but her main purpose of the evening was to sing the mezzo part in Delibes' "Flower" duet, after which she did not return to the stage. Two "guest conductors," winners of a benefit auction at the Opera's fall Gala, made their debuts at this concert, and they both enjoyed the opportunity to stand in front of an orchestra; perhaps they'll take inspiration from Gilbert Kaplan to give it all up and pursue a career in music! The program's second half featured hits from Broadway, with the exception of Stewart singing Puccini's "Recondita armonia." Clark, Stewart, and Federle showed their versatility in approaching popular numbers from the American (and French, in the case of Les Misérables) musical canon; perhaps the audience, at the end, wished that "they could have sung all night," to paraphrase the My Fair Lady tune which Clark sang.